The CO2-responsive behavior of giant vesicles supporting hindered amines on the shells was investigated with the aim of reversible control of the self-assembly. 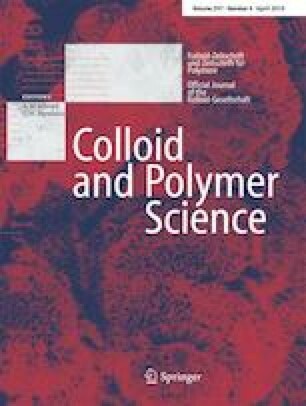 The investigation was carried out using vesicles consisting of poly(2,2,6,6-tetramethyl-4-piperidyl methacrylate)-block-poly(methyl methacrylate-random-2,2,6,6-tetramethyl-4-piperidyl methacrylate), PTPMA55-b-P(MMA0.977-r-TPMA0.023)321, in an aqueous methanol solution. As CO2 was introduced into the vesicle solution, the electroconductivity and transmittance increased whereas the scattering intensity and hydrodynamic diameter for the light scattering measurements decreased due to the dissociation of the vesicles into micelles based on the protonation of the hindered amines on the shells. 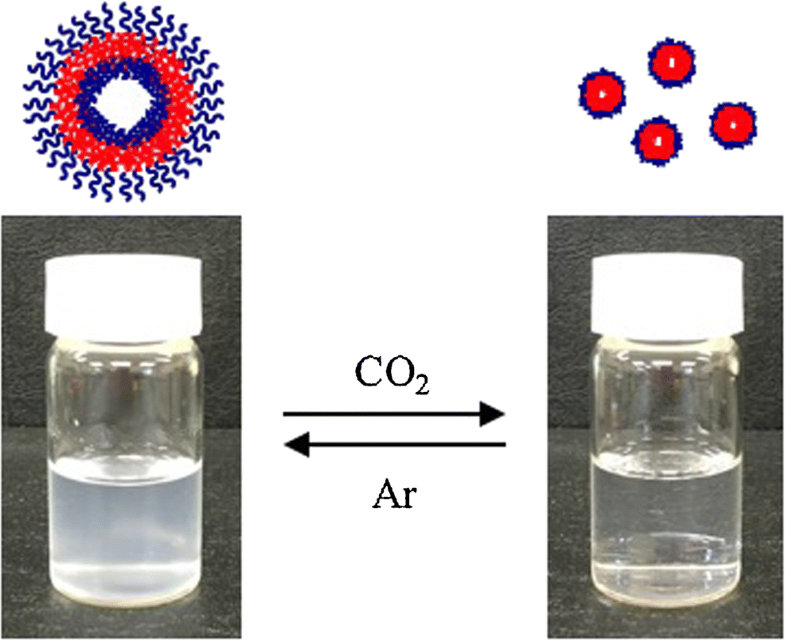 The introduction of Ar instead of CO2 produced inverse changes in these factors based on the aggregation of the micelles due to the deprotonation. The vesicles showed a good hysteresis for the cycles of the CO2-Ar introduction. It was found that the dissociation-aggregation of the vesicles was reversibly controlled by the alternate CO2-Ar introduction. This work was supported by the JSPS Grant-in-Aid for Scientific Research (Grant Number 18K04863).